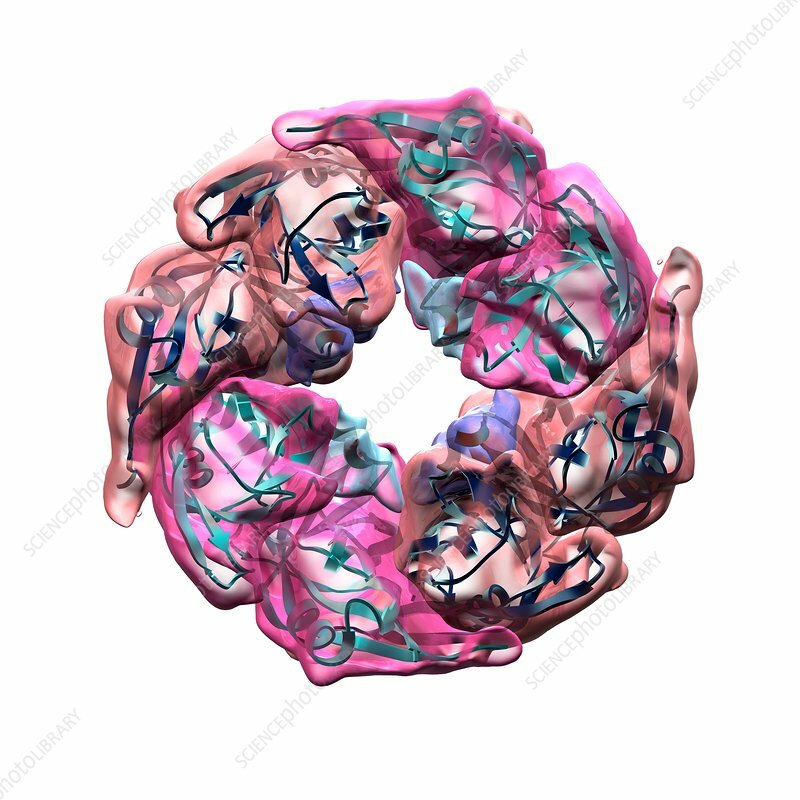 Ebola virus capsid proteins, computer artwork. Ebola virus particles (virions) are composed of an outer protein coat (capsid) encasing RNA (ribonucleic acid), the genetic material of the virus. Embedded in the capsid are several proteins that enable the virion to infect its host's cells. Ebola symptoms include fever, throat and muscle pains, headaches and haemorrhage. Progression of the disease leads to vomiting, diarrhoea and reduced liver and kidney function. Transmission is human-to-human.